Star Micronics just announced it will release multiple new printers in 2010, further extending its very diverse and highly acclaimed line of point of service printers. 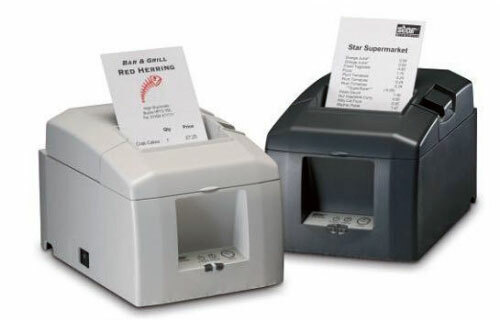 Throughout the first half of 2010, Star Micronics will introduce several printer solutions for the retail, hospitality, grocery, mobile and banking markets. Star Micronics America, Inc. today announced that multiple models from its point of sale printer line, have achieved certification for Sharp Point of Sale terminals. As a result, of the certification, Star Micronics is an officially endorsed hardware partner of Sharp USA. Star’s SP700 impact printer and the TSP650 thermal printer have both been certified with Sharp’s UP-3500 and UP-800 terminals. The SP700 is Star’s kitchen printer offering, while the TSP650 is most often utilized at point of service. The impact, SP298 has also been certified with the UP-800. This joint solution automates on-the-go data capture and printing for increased efficiency in public safety, healthcare, retail, and industrial settings. CipherLab, a leading innovator in Automatic Identification and Data Capture (AIDC) for the retail, warehouse and distribution markets, today announced that Star Micronics America, Inc. has certified CipherLab’s 9471 handheld mobile computer as compatible with its four-inch TSP800 Point of Service (POS) printer. Certification from the second largest POS printer manufacturer worldwide means that workers in industries such as public safety, healthcare, retail, and logistics can mobilize and automate receipt printing using a CipherLab handheld. This dual mobile printing solution, now available through BlueStar, results in increased efficiencies. Star Micronics America, Inc. today announced that its HSP7000 multifunction (hybrid) printer has achieved SAP-certification for SAP Point of Sale (POS). Tier one retail customers utilizing the SAP Point of Sale application can now seamlessly add the HSP7000 to their point of sale solution. A leading solution integrator for credit unions needed a high-speed, reliable printer to integrate into the company’s innovative solution. The company needed a transaction printer to add to the offering that was fast and flexible. 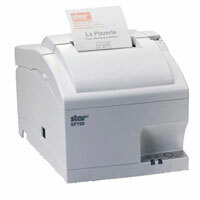 They chose the TSP800 from Star Micronics as the transaction printer. The TSP800 was selected primarily because of its fast print speed, as well as its small footprint, ease of use, flexibility and Star’s strong product support. 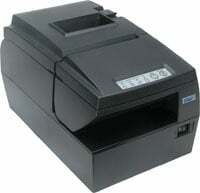 The TSP800 was selected after a thorough evaluation of thermal printers from various manufacturers. What started as utilizing a “leftover” from the previous owner turned into a dual-purpose printer in the busy kitchen at LaPiazza Italian Restaurant in Lititz, PA. When Guisippe Gambino and his family took over the property and established LaPiazza Restaurant over 2 years ago, as is normal when a new restaurant takes over an existing restaurant setup, some POS equipment is left behind from the former occupants. 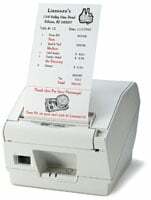 One piece of equipment that remained in the kitchen was the Star TSP650 thermal printer, along with a few rolls of MaxStick® paper. Uncle Bill’s in one of the most successful pet store chains in Indianapolis, due in part to its highly successful marketing program that includes coupons with vibrant colors and eye-popping graphics. Unfortunately, their old POS system was a dog in terms of performance. Thanks to Star receipt printers, however, Uncle Bill’s new POS system is turning out to be their best friend. Star Micronics America is proud to announce that Microsoft’s Dynamics Retail Management System (RMS) supports Star’s HSP7000, the company’s multifunction printer series. Microsoft RMS offers small and mid-market retailers a complete point-of-sale (POS) solution that can be adapted to meet unique retail requirements. The HSP7000 features the fastest speed in the industry for a multifunction printer – 250mm/sec! Star Micronics is proud to announce a major extension of its product line up; the Star HSP7000 multifunction (hybrid) printer. The HSP7000 is designed to assist and empower users who want to extend the capabilities of their current system. The HSP7000 combines key features from Star’s celebrated range of products, including the speed and reliability of the market leading TSP700 Series, and the engine from the high speed SP700 dot matrix printer. Star is bringing over 30 years of “know-how” in POS to the HSP7000; resulting in customers receiving the features they need with the reliability they demand, minus the overhead of unnecessary features and cost.